Wood Grain Design Ltd is a kitchen design company specialising in bespoke handmade kitchens made in our workshop in Isleworth. 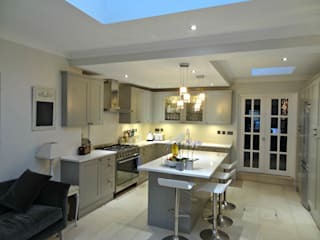 With over 20 years’ experience we are the perfect partner when considering your new kitchen. 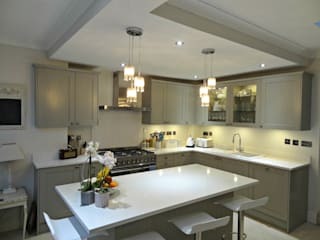 When it comes to kitchens we are a truly bespoke kitchen design specialist simply because we are not constrained by sizes or finishes and we are not limited by what is available from stock because we can make whatever best meets our client’s needs, taste and lifestyle. A flat-pack kitchen is a series of boxes bolted together and many people may have the same kitchen whereas an exclusive handmade kitchen is rarely, if ever, duplicated. One of the challenges facing clients can be the waiting time, from deciding on the new kitchen to seeing it fitted can sometimes be between 8 to 12 weeks. · We only have a 2 week lead time, as this is simply the time it takes us to make a kitchen. 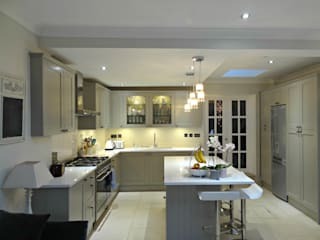 · We are the only Kitchen company in the UK that we know of that will allow clients to make design changes to their kitchen one week before we begin fitting. · All our kitchens are handmade and therefore unique to your space.